Last Thursday the London Stock Exchange outlined the services that it will offer member firms and other market participants to assist their compliance with the EU's Markets in Financial Instruments Directive (MiFID). Last Thursday the London Stock Exchange outlined the services that it will offer member firms and other market participants to assist their compliance with the EU’s Markets in Financial Instruments Directive (MiFID). 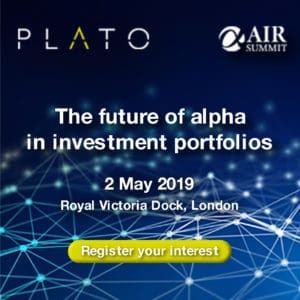 It will provide additional SETS functionality, a new pan-European OTC trade reporting service which may be used by both member and non-member firms, and introduce stand-alone data services for trades in both UK and European securities that are conducted away from the SETS order book. This announcement follows the launch of TradElect, the LSE's new electronic trading system, on 18 June. "This is a key week in the UK market's preparation for MiFID, with final confirmation of the Exchange's comprehensive MiFID solutions and the introduction of our new TradElect technology platform," comments David Shrimpton, head of product management and development, London Stock Exchange (LSE). "Together these new developments will ensure that the exchange continues to provide a strong and neutral central market for the benefit of all participants. "TradElect has reduced latency at a stroke, delivering higher volumes and promising greater liquidity, which will deepen London's unrivalled position as a best-execution venue for UK securities. It also provides us with a robust technological base for our MiFID solutions. The first of these, SETSqx, has already gone live, and in November we will add new functionality which will give the market comprehensive, familiar, robust and competitively priced MiFID services, structured to let individual firms choose the solutions that best fit their business model," continues Shrimpton. 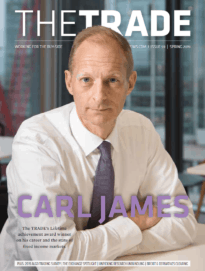 TradElect reflects the Exchange's strategic decision to replace its technology rather than take tactical steps to adapt the existing, outdated technology that some other market centres are using, according to David Lester, CIO, LSE. "Its launch underlines the exchange's commitment to investing continuously to improve market efficiency for the benefit of all traders, investors and listed companies," he says.